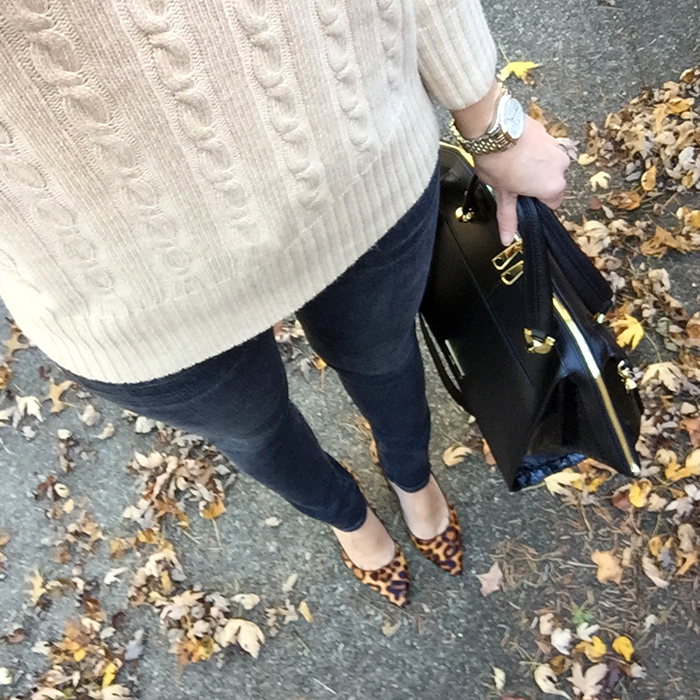 Leopard pumps and turtlenecks are two of my favorite things. I picked up this sweater recently, and I have worn it so many times already. I also like this turtleneck sweater, too. I love how this cardigan makes me feel dressed up in jeans. I recently paired it with this skirt, and the color combination isn't something I would typically think to pair together - but I really liked it, plus, the skirt is super comfy. 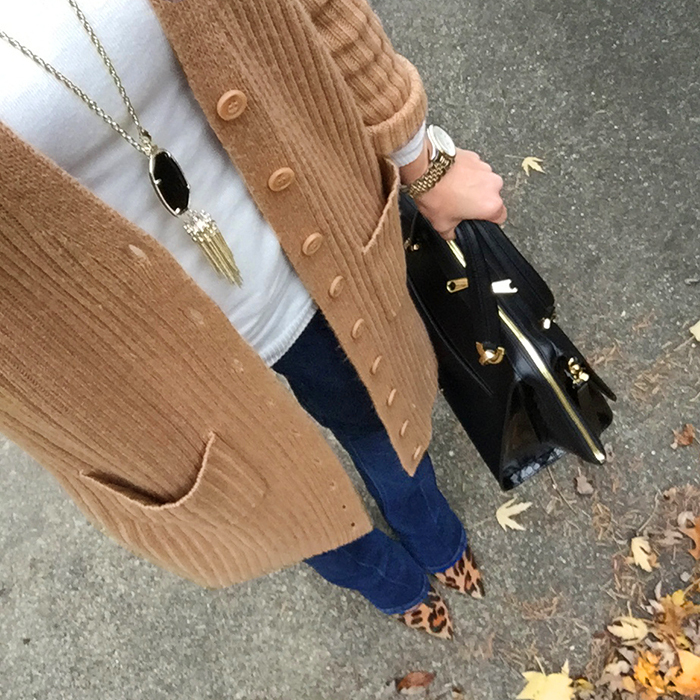 I picked up this long cardigan for $11 this past summer - and I love it! Black Friday is this week and the deals have already started. It is hard to stay focused and not want to buy everything for myself. I need to replace my slouchy boots (after two bad, snowy winters and a lot of salt), so these boots are in my cart. Also, I could keep buying more and more sweaters, like these fringe sweaters especially this red tamale one or this oversized turtleneck sweater. If you are looking for gift ideas for your party host or a gift exchange at work, here are some ideas. I have thought about buying this 80s TV trivia game for my party. It is only $7 and is free shipping. Designer jeans, shoes (including Stuart Weitzman), and bags - are up to 72% off! Sweaters under $25 (A few under $10). Leopard is always a favorite of mine! Loving all of these looks! Leopard is my favorite, too. Thanks Sam! 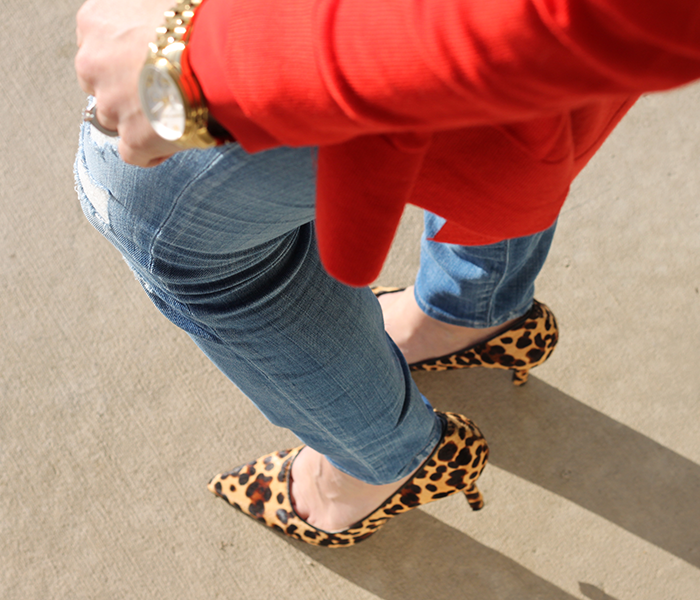 Leopard shoes always give a special touch to our looks. I love them! 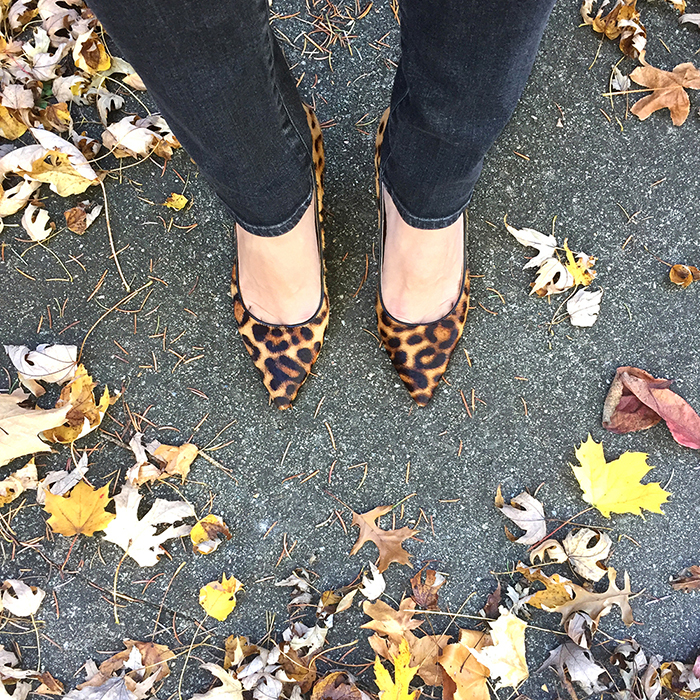 Your leopard heels are really pretty! I like all these outfits you created with them. Have a great week! Thanks, Danielle. I love how leopard adds that pop to any look. I love adding a touch of leopard! Great looks. I love pretty much anything leopard! It's so fun. Those leopard pumps are perfection! Loving all the leopard! I know with all the deals I am having the hardest time not buying it all for me! I'm such a sucker for all leopard everything! Love this look! That coat is such a steal! So fun for the holidays too. Love the leopard pumps and that jacket! I just want everything...I have a bad case of I wants! You combine classic colors so well! I am obsessed with finding the perfect turtleneck sweater(s) this winter. I also love them with tall boots. You can't beat that combo for warmth. Love camel and leopard together. So classy friend! 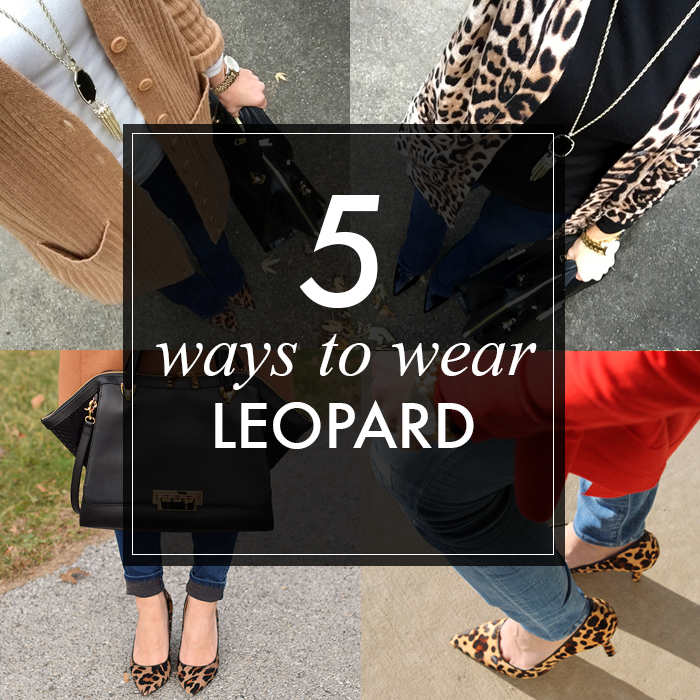 Great gift ideas, I've always had a penchant for leopard! you can never go wrong with leopard! love it!! 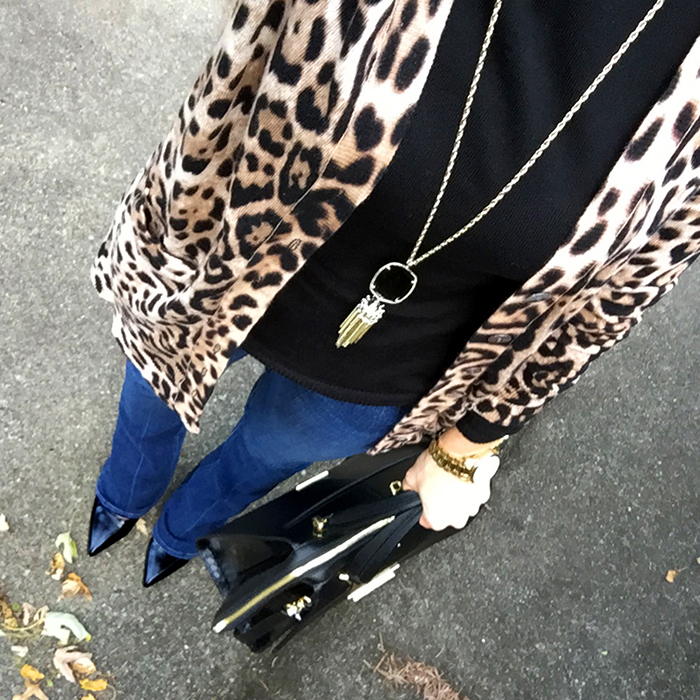 Love all your leopard looks and I am drooling over your purse :) Thank you for being a part of TBT Fashion link up and hope to see you soon!